60 colourful bugs with upper and lower case letters of the alphabet printed on the bugs. The child matches the correct letter formation shown on side 1 and 2 of each of 10 wipe-off flower mats using the foam manipulative bug shapes. 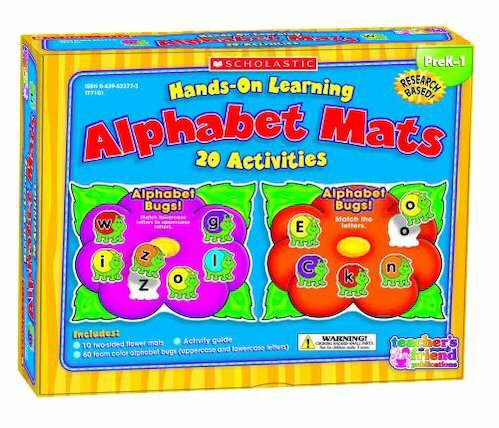 Activities include matching lower to upper case as well as upper to lower case letters. Also includes a 4-page activity guide!